International Social Service, USA Branch, Inc. - Maryland | Created by International Social Service, United States of America Branch, Inc.
Sandra* is an eight year old from a rural village in Guatemala. She traveled with her father to the United States where they were separated and detained at the border. Her father was deported to Guatemala but Sandra spent an additional six months in U.S custody before returning to her parents. International Social Service (ISS-USA) partnered with the state child welfare system to coordinate the appropriate services for Sandra's return. Once Sandra returned to Guatemala, her ISS caseworker helped her and her siblings enroll in school, secured school uniforms and supplies, registered Sandra’s parents for vocational training programs, and coordinated family therapy sessions with pro-bono psychologists. 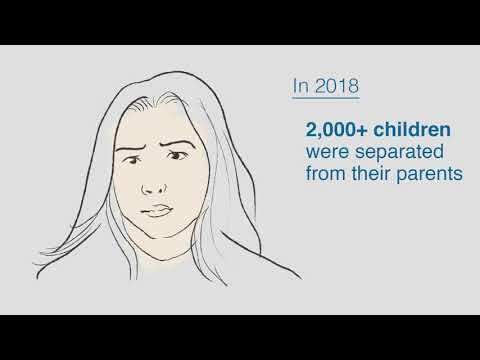 In cases like Sandra’s, prolonged family separation can be extremely disruptive to childhood development, but the services ISS-USA provides help negate the long-term negative experiences related to migration, detention, and deportation. We need your help to extend the services Sandra was able to receive to more separated children and families. ISS-USA is targeting to raise $15,000.00 through this campaign to provide up to 125 separated children and their families the social and community services they need to remain safely in their home community after a traumatic separation. · $120 a month provides case management support for the entire family of a returning child. · $50 allows a parent to access literacy classes, specialized educational services or vocational training for a year. · $40 allows specialized educational services for a child for a month. · $25 will buy a child new shoes and a school uniform. · $10 will buy a child a backpack and school supplies. Founded in 1926, ISS-USA is a member of a global network of social work agencies and providers in more than 120 countries. ISS-USA works with more than 1,000 families each year to locate family members, discover important documents, visit homes, and assess communities for information that helps reunite families and provide long-term permanency arrangements in the best interest of children. For more information, please visit http://www.iss-usa.org. *The child’s name has been changed to protect their privacy. Posted by International Social Service, United States of America Branch, Inc.
International Social Service, United States of America Branch, Inc.